Tranquil Nest Self Catering - Hazyview Accommodation. Hazyview is fast becoming the hub of Mpumalanga, catering to local and international visitors. 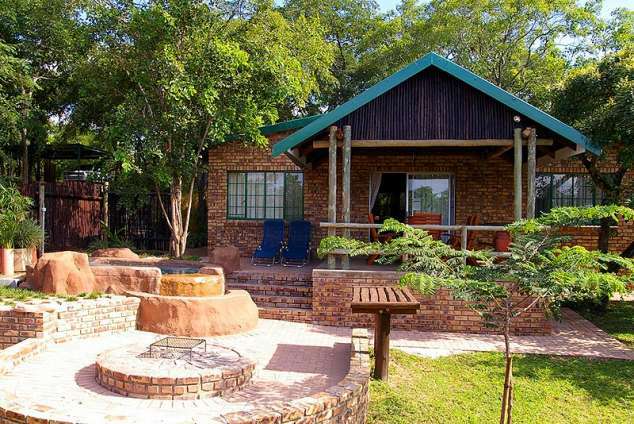 Tranquil Nest is conveniently situated off the R40 between White River and Hazyview (3 km from Hazyview) making it a conveniently located Mpumalanga holiday resort. Each chalet is nestled amongst indigenous trees, home to a wide variety of birds, overlooking The Sabie River Valley which lies at the edge of the escarpment of the misty Drakensberg Mountains. Various small animals frequent the property. Provides everything you may need. - Pick and Pay, Checkers, CNA, Edgars, Woolworths (not food) Mr Price, Milady's, Truworths, and Markham's to name but a few. Hazyview's climate is mild throughout the year. Temperatures vary from mild winters between 04 - 22 C to warm hot summers between 20 - 38 C. Summer is from October to April and Winter from May to September which provides a welcome getaway for visitors from the Northern Hemisphere. Standard time in South Africa is GMT+2. There is no daylight saving. There are no time zones changes between South Africa and the neighboring countries, nor between the nine provinces. 34985 page views since 10 May, 2010. Last updated on 10 Jan, 2019.